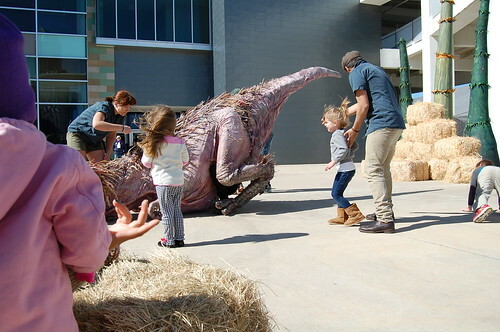 Today the entire fam went to see Erth Dinosaur Petting Zoo at the Long Center. 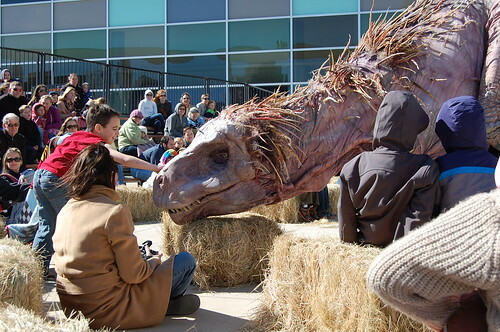 It was an amazing group of pupeteers from Australia with very life like dinosaurs. The kids loved it. 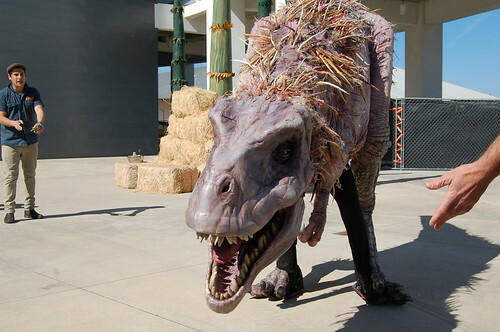 Sure they screamed, ran for their lives and Baxter was even trembling – but trust me they loved it. 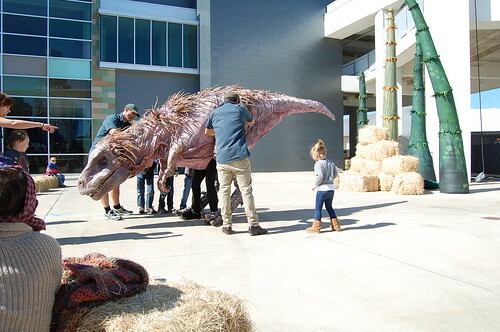 I thought I would share the step by step pictures of Tallulah volunteering to pet the adolescent T-Rex. 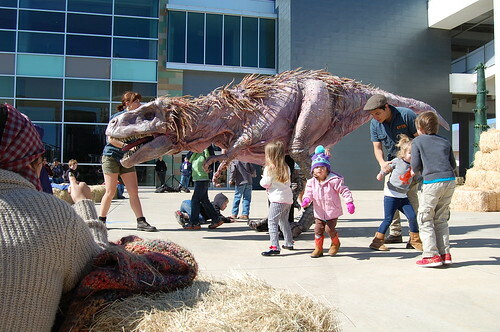 The T-Rex came out the door and the gasps from the toddlers could be heard across town. 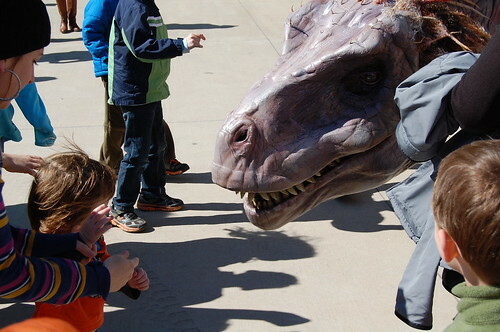 The T-Rex made the rounds letting kids get a closer gander. Baxter was not completely convinced that the dinosaur was a puppet. 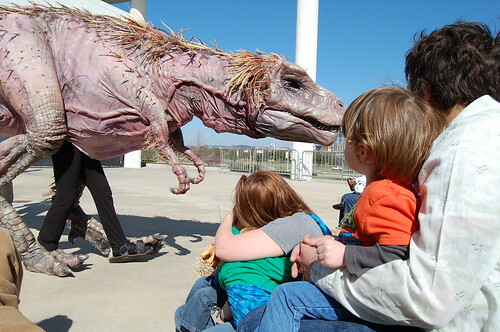 Some poor kid was even brave enough to put his head in it’s mouth! 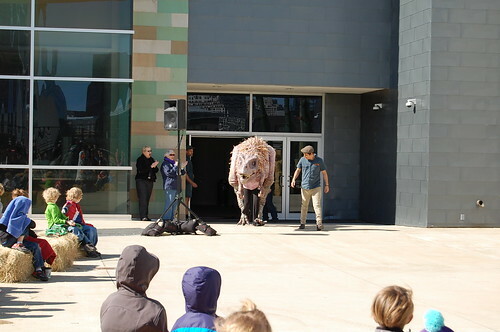 Next they took a handful of volunteers from the audience to come up and pet the T-Rex. Tallulah raised her hand and this is what happened. 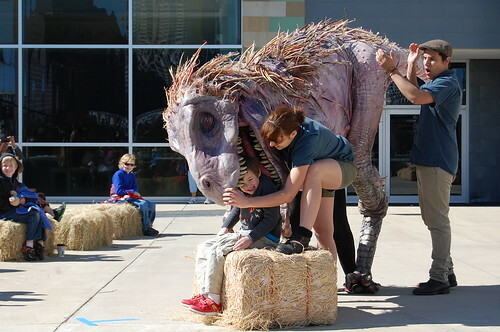 Things were going great, that is until the T-Rex started to growl. The kid in gray backing slowly away and then being restrained by a cute Australian puppeteer, ya that would be Tallulah wishing she had never raised her hand. 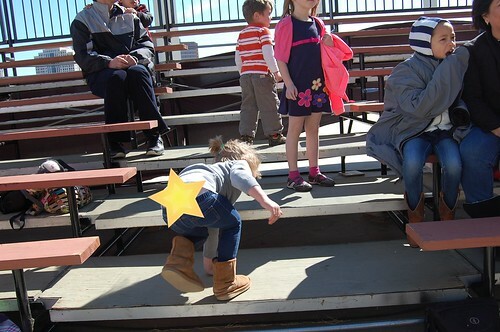 She eventually broke free and ran screaming for the hills or as it were the bleachers. 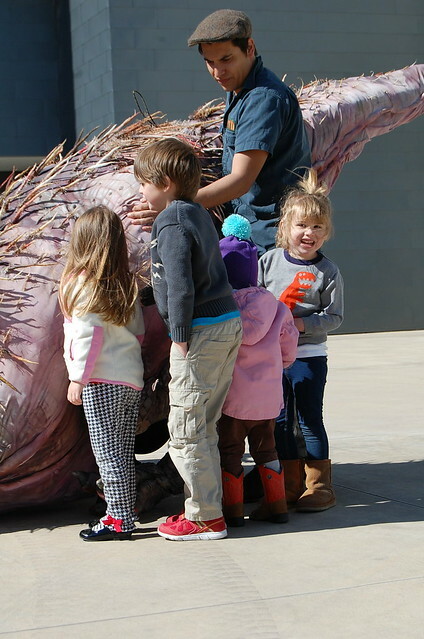 The kids have been talking about dinosaurs all day. 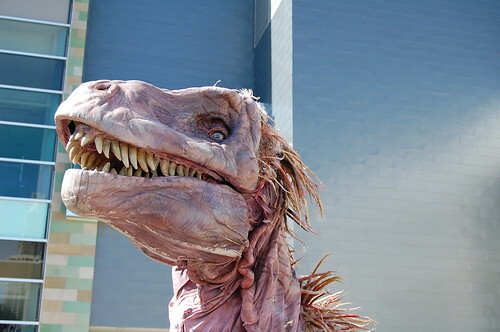 Baxter keeps saying “no dino”. 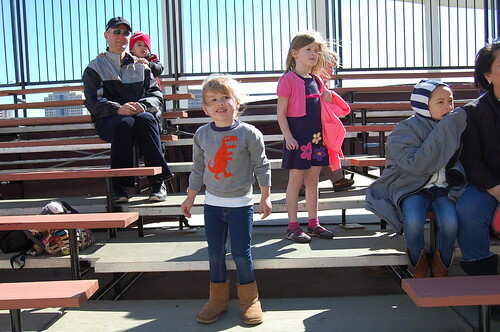 I swear they were not scarred for life and loved the show. I highly recommend it. Posted February 28, 2013 & filed under Austin, Kids. Ah-mazing!! Do I have to have a kid to go see it??? 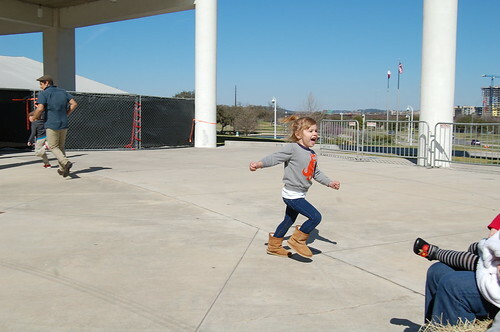 Seriously though, my niece would LOVE this is, how long are they in Austin for or did I miss the chance? This is so adorable! Thank you for sharing!